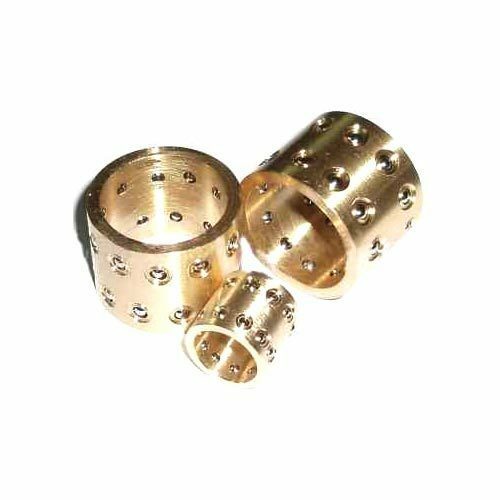 We are among the reputed organizations, deeply engaged in offering an optimum quality range of Bronze Bushes. We are determined to provide superior quality products to our clients. Hence, we are offering bush that meets the client’s specific requirements. In order to fabricate this product, we use optimum quality raw material and modern technology that ensure its premium quality. We “Shree Gajanan Engineers” founded in the year 1997 are a renowned firm that is engaged in manufacturing a wide assortment of Pump Shafts, Industrial Shafts, Pump Crankshaft, Industrial Bushes, etc. We have a wide and well functional infrastructural unit that is situated in Vadodara (Gujarat, India) and helps us in making a remarkable collection of products as per the global set standards. Apart from this, we also render highly reliable Engineering & Precision Job Work to our clients. We are a Sole Proprietorship company that is managed under the headship of our mentor “Mr. Rajiv Jalgaonker”, and have achieved a significant position in this sector.